People who like to smoke pipe tobacco have found a cleaner alternative to enjoying their herb. They have turned to use a vaporizer. In a vaporizer, the tobacco is not burned to release smoke for inhaling. Rather, the tobacco is heated to the point where the vapor is produced for inhaling. Vaporization eliminates many toxic by-products that burning tobacco produces. Thus, you inhale the essence of tobacco without harmful effects. 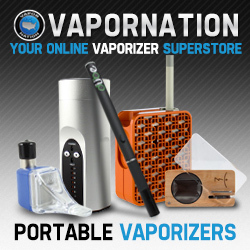 There are many brands of vaporizers on the market. 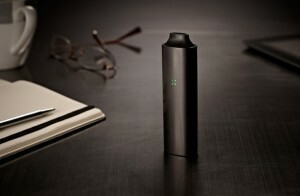 One of the leading vaporizers called Pax is manufactured by Ploom. 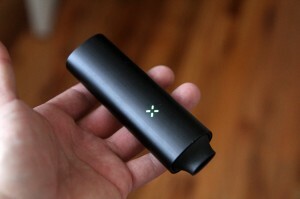 Enjoy our Pax vaporizer review. 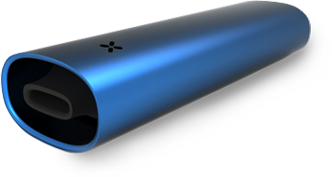 The Pax vaporizer has many advanced features that make this a premium product. Pax is constructed from the highest quality of materials. The outer casing is made of anodized aluminum. It comes in four very attractive colors: amethyst-purple, cobalt-blue, emerald-green, and onyx-black. The vapor pathway and the chamber where the tobacco heats up, or the “oven”, are made from surgical grade stainless steel. The Pax has three temperature settings, and it only takes about 30 seconds to heat up. You can choose your temperature setting easily by the push of a button. If you want a light vapor from your tobacco, you can choose the lower setting which heats up the herb to about 370 degrees. The vapor intensity gets stronger as the temperature setting gets higher. The highest setting heats the tobacco to 410 degrees. An indicator on the outside tells you when the desired temperature is reached, with yellow for the low setting, orange for the medium setting, and red for the highest setting. Your herb will heat up to the point of vaporization, but it will never burn. There is little production of carbon monoxide. You will just get pure, clean vapor without the harmful effects of combustion. 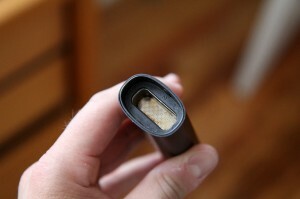 A Pax vaporizer review will not be complete without the discussion of how easy it is to use. The Pax has a convenient retractable mouthpiece. When you want to use it, just click on the mouthpiece to pop it out. When you are done, just click the mouthpiece back in. The Pax has a motion sensor that puts the unit in a power-saving mode when you put it down. When you pick it up, the Pax will heat up again. This smart technology will help you conserve the battery charge. 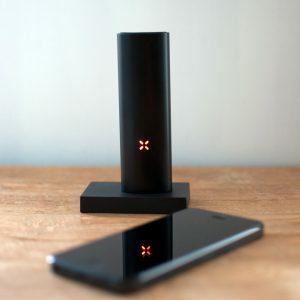 The hi-tech and sleek design of the Pax has brought smoking to the 21st century. Its wide heating chamber is easy to fill with your favorite brand of pipe tobacco. There is an LED indicator light on the outside that displays the temperature setting as well as the battery status and heating status. It is compact enough to fit into your pocket so you can carry it discretely wherever you go. The lightweight design makes it feel comfortable when you hold it in your hand, so when you put it to your mouth to inhale, it feels natural. This is one of the qualities that makes Pax a popular choice among people who use vaporizers. 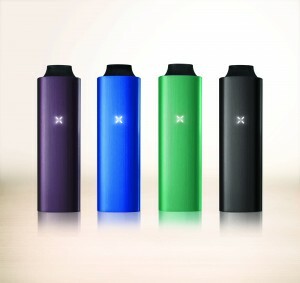 The Pax runs on a rechargeable lithium-ion battery that can fully charge up in a couple of hours. Each charge will last you for about two hours if you use it continuously. If you are using the higher temperature setting, you will use up the battery charge faster. The Pax will give you years of enjoyment if you clean it regularly. A cleaning kit is included that contains pipe cleaners and cleaning wipes. You can also use your own rubbing alcohol and a thin, stiff wire brush with plastic bristles, similar to the thin inter-dental cleaning brushes that you can find at the drugstore. Turn the unit upside down and clean the heating chamber and the vapor path with alcohol. Use the brush and some alcohol to clean the area where the mouthpiece joins the unit. Let the vaporizer dry completely before you use it. You may want to turn it on without any tobacco in the chamber to let the heat finish the cleaning process. Is The Pax Vaporizer Worth It? In this Pax vaporizer review, we discussed many advantages of the Pax that make this a highly popular choice for people who want to convert to vaporizing. The list price is about $249. Some places that do not allow traditional tobacco smoke will allow vaporizers because no second-hand smoke is produced that is a disturbance to non-smokers. The clothes that you wear and your home environment will smell fresher because there is no smoke to penetrate the fabrics and upholstery. Be sure to check out the newest Pax 3 review!